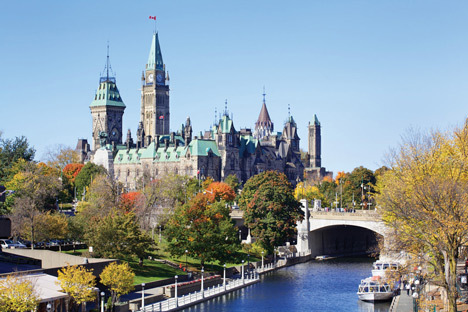 Ottawa has subtly renewed the current equalization formula until 2024 despite other provinces seeking modifications to the program and the scheduled negotiations next year. According to The Globe and Mail, federal finance minister Bill Morneau said Ottawa's intention to renew the current formula was clearly relayed to other provinces. But it seems that some of the Western Provinces including Saskatchewan and Alberta were left in the shadows. Equalization is a federal program that distributes pooled federal tax to provinces and territories with below-average fiscal capacity. The goal is to ensure that every Canadian has access to a similar level of public services. In a recent report for Global News, Saskatchewan Premier Scott Moe has submitted a letter to Prime Minister Justin Trudeau detailing a pitch for new equalization. “Equalization is an incredibly inequitable and flawed program, which has seen provinces like Saskatchewan, Alberta and Newfoundland receive zero year after year, even through the economic downturn in the resource sector,” Moe said. Morneau's spokesperson Dan Lauzon, however, stressed that the process of renewal began long ago and provinces and territories were "consulted and kept informed every step of the way”. "It was on the agenda and discussed at the political level at the finance ministers meeting in December," Lauzon said, as quoted by the Globe and Mail. While Saskatchewan was aware that the federal government was in favour of the current program, Moe's press secretary Joe Billington said there was no formal notification of the renewal in the federal budget. "We are unaware of anywhere that the federal government has publicly reported that the equalization formula had been renewed. Further, there is nothing stopping the federal government from listening to the concerns of provinces and revisiting renewal in legislation prior to the April 1\t, 2019 renewal date," Billington said. Moe proposes a 50-50 formula which would see half of the collected money be distributed to the "have not" provinces while the other half would be allocated on a per capita basis. "This would not result in any huge windfalls to our province of Saskatchewan. Our province would receive about $300 million, about 1.6 per cent of the total equalization pool- but we would receive something," Moe said. This year, Quebec takes the biggest share of equalization payments at $11.7bn while provinces including British Columbia, Alberta, Saskatchewan and Newfoundland and Labrador would not be given any. Alberta Finance Minister Joe Ceci also expressed his sentiments about the current program, which he said did not work for Alberta even during the recession that started in late 2014 and persisted until early 2017. "I’d like to see changes to it so that we as Albertans can get a better deal from equalization," he told reporters.